In a counter attack on Rahul Gandhi for asking Narendra Modi to \"stop fooling\" the people, BJP leader Arun Jaitley today said voters are not \"ullus\" (fools) if they exercise their vote against the Congress. In a counter attack on Rahul Gandhi for asking Narendra Modi to "stop fooling" the people, BJP leader Arun Jaitley today said voters are not "ullus" (fools) if they exercise their vote against the Congress. Jaitley, who is facing a tough contest in Amritsar, said Rahul must accept that people are "angry" with the Congress. "With 121 Parliamentary constituencies going to poll today, almost half of India would have voted in 2014 general elections. What are the trends? The Third Front or the Federal Front is the non-starter. The Congress lags far behind," he said. "Rahul Gandhi must accept that people are angry with the Congress. They are not 'ullus' when they vote against the Congress. The prospects of defeat should not make a leader lose his graciousness. Those who vote against the Congress may have good reasons to do so. The angry voter is not a four letter word that Rahul Gandhi has chosen to describe them", Jailtey said. At an election meeting in Bihar yesterday, Rahul had said, "Modiji, Hindustan ko ullu banana band karo (Modiji, stop fooling the people of Hindustan)". Jaitley claimed the NDA is the only combination which has a real chance of forming the government. Besides, the usual emphasis on the anti-incumbency against the UPA, national mood is in favour of Narendra Modi, he claimed. "An issue that concerns the average Indian is who will provide a stable government," he said, adding the answer to the question squarely helps the BJP and NDA. Jaitley welcomed Modi's comment that the next government at the Centre will function on a positive agenda and not be vindictive. "India is changing. The people are becoming restless. The aspirational class is expanding. People expect to live in a system where the quality of their life is significantly enhanced. The new generation is looking for education, jobs, housing, health care and hygiene. They want politics to ensure the delivery mechanism instead of being just a slugfest between the parties", he said. "Under these circumstances, governments will be remembered by their performance and achievements and not by the political battles that they fought against their rivals. This is not to suggest that law must not be followed," he said. The BJP leader stressed that agencies must be run by men of integrity, independent of political interference. "If people have committed offences, they must be objectively investigated by independent agencies. Institutional independence and professionalism has to be ensured. Agencies must be run by men of integrity, independent of political interference. 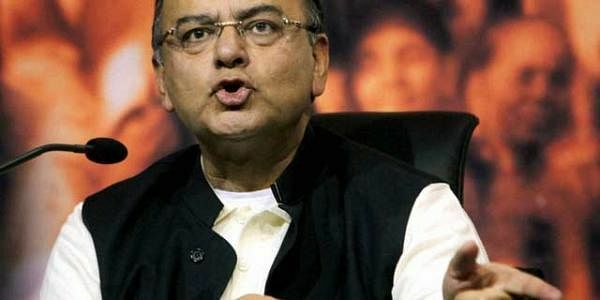 If the future government can ensure this, it would have done its bit," said Jaitley.